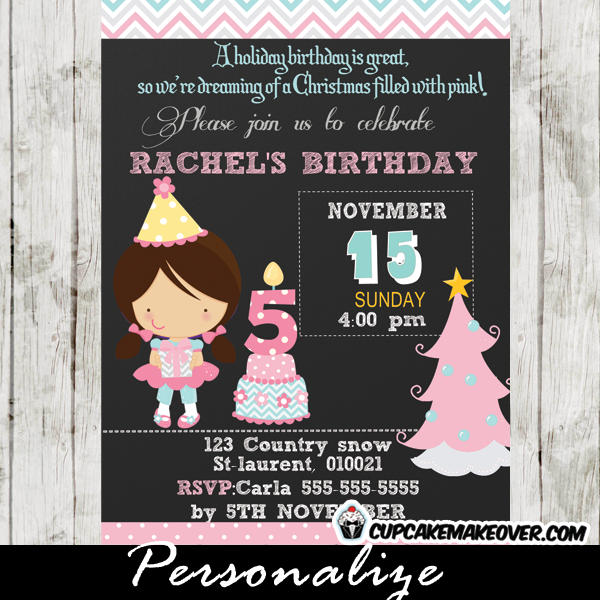 Printable Pink holiday Birthday invitation for girls. 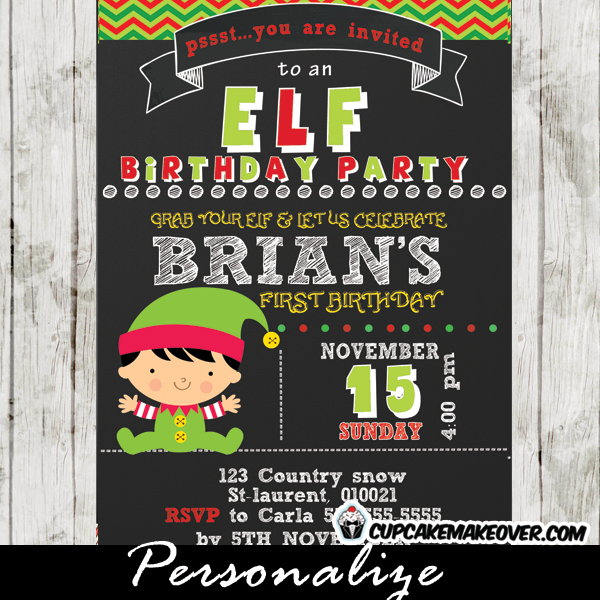 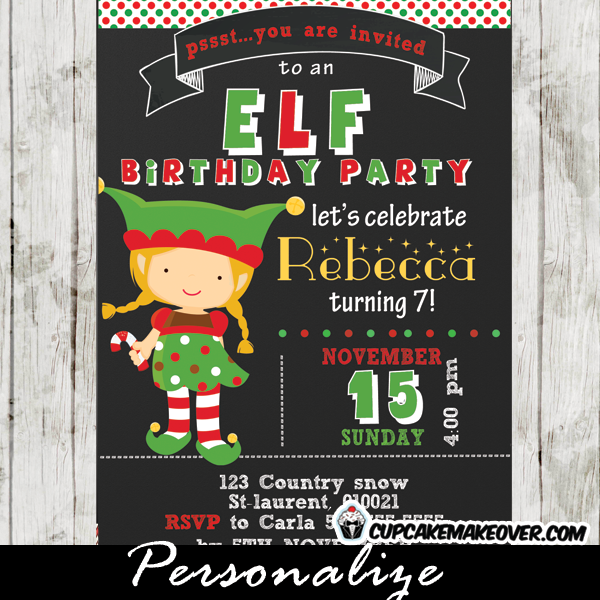 This beautiful personalized Christmas themed party invitation features a sweet girl next to her yummy birthday cake in Pink and Tiffany Blue, a Christmas tree and a touch of chevron and polka in the background. 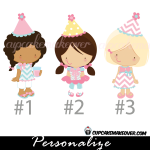 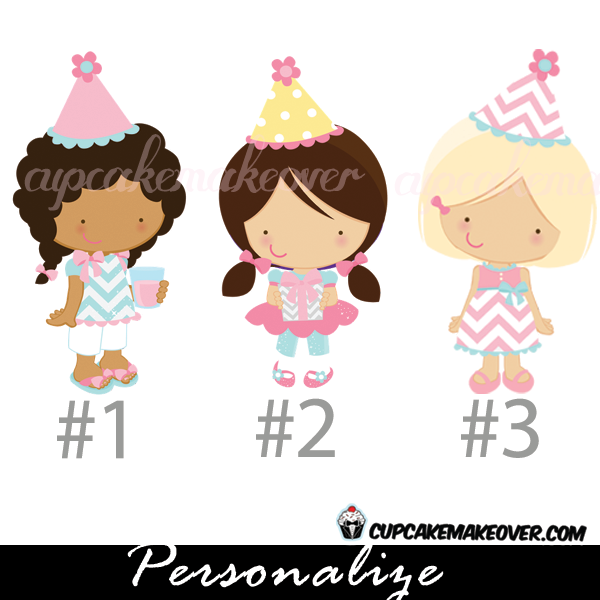 * Pick your favourite birthday girl for your card.